Arms and eyes upraised toward the sun and a prayer on his lips, an elf begins to glow with an inner light that spills out to heal his battle-worn companions. Chanting a song of glory, a dwarf swings his axe in wide swaths to cut through the ranks of orcs arrayed against him, shouting praise to the gods with every foe’s fall. Calling down a curse upon the forces of undeath, a human lifts her holy symbol as light pours from it to drive back the zombies crowding in on her companions. Divine magic, as the name suggests, is the power of the gods, flowing from them into the world. Clerics are conduits for that power, manifesting it as miraculous effects. The gods don’t grant this power to everyone who seeks it, but only to those chosen to fulfill a high calling. Harnessing divine magic doesn’t rely on study or training. A cleric might learn formulaic prayers and ancient rites, but the ability to cast cleric spells relies on devotion and an intuitive sense of a deity’s wishes. Clerics combine the helpful magic of healing and inspiring their allies with spells that harm and hinder foes. They can provoke awe and dread, lay curses of plague or poison, and even call down flames from heaven to consume their enemies. For those evildoers who will benefit most from a mace to the head, clerics depend on their combat training to let them wade into melee with the power of the gods on their side. Not every acolyte or officiant at a temple or shrine is a cleric. Some priests are called to a simple life of temple service, carrying out their gods’ will through prayer and sacrifice, not by magic and strength of arms. In some cities, priesthood amounts to a political office, viewed as a stepping stone to higher positions of authority and involving no communion with a god at all. True clerics are rare in most hierarchies. When a cleric takes up an adventuring life, it is usually because his or her god demands it. Pursuing the goals of the gods often involves braving dangers beyond the walls of civilization, smiting evil or seeking holy relics in ancient tombs. Many clerics are also expected to protect their deities’ worshipers, which can mean fighting rampaging orcs, negotiating peace between warring nations, or sealing a portal that would allow a demon prince to enter the world. Most adventuring clerics maintain some connection to established temples and orders of their faiths. A temple might ask for a cleric’s aid, or a high priest might be in a position to demand it. As you create a cleric, the most important question to consider is which deity to serve and what principles you want your character to embody. The Gods of the Multiverse section includes lists of many of the gods of the multiverse. Check with your DM to learn which deities are in your campaign. Once you’ve chosen a deity, consider your cleric’s relationship to that god. Did you enter this service willingly? Or did the god choose you, impelling you into service with no regard for your wishes? How do the temple priests of your faith regard you: as a champion or a troublemaker? What are your ultimate goals? Does your deity have a special task in mind for you? Or are you striving to prove yourself worthy of a great quest? You can make a cleric quickly by following these suggestions. First, Wisdom should be your highest ability score, followed by Strength or Constitution. Second, choose the acolyte background. As a conduit for divine power, you can cast cleric spells. See Spells Rules for the general rules of spellcasting and the Spells Listing for the cleric spell list. The Cleric table shows how many spell slots you have to cast your cleric spells of 1st level and higher. To cast one of these spells, you must expend a slot of the spell’s level or higher. You regain all expended spell slots when you finish a long rest. You can use a holy symbol (see the Adventuring Gear section) as a spellcasting focus for your cleric spells. Choose one domain related to your deity: Knowledge, Life, Light, Nature, Tempest, Trickery, or War. The Life domain is detailed at the end of the class description and provides examples of gods associated with it. See the Player’s Handbook for details on all the domains.Your choice grants you domain spells and other features when you choose it at 1st level. It also grants you additional ways to use Channel Divinity when you gain that feature at 2nd level, and additional benefits at 6th, 8th, and 17th levels. Each domain has a list of spells — its domain spells — that you gain at the cleric levels noted in the domain description. Once you gain a domain spell, you always have it prepared, and it doesn’t count against the number of spells you can prepare each day. Imploring your deity’s aid requires you to use your action. Describe the assistance you seek, and roll percentile dice. If you roll a number equal to or lower than your cleric level, your deity intervenes. The DM chooses the nature of the intervention; the effect of any cleric spell or cleric domain spell would be appropriate. In a pantheon, every deity has influence over different aspects of mortal life and civilization, called a deity’s domain. All the domains over which a deity has influence are called the deity’s portfolio. For example, the portfolio of the Greek god Apollo includes the domains of Knowledge, Life, and Light. As a cleric, you choose one aspect of your deity’s portfolio to emphasize, and you are granted powers related to that domain. Your choice might correspond to a particular sect dedicated to your deity. Apollo, for example, could be worshiped in one region as Phoebus (“radiant”) Apollo, emphasizing his influence over the Light domain, and in a different place as Apollo Acesius (“healing”), emphasizing his association with the Life domain. Alternatively, your choice of domain could simply be a matter of personal preference, the aspect of the deity that appeals to you most. Each domain’s description gives examples of deities who have influence over that domain. Gods are included from the worlds of the Forgotten Realms, Greyhawk, Dragonlance, and Eberron campaign settings, as well as from the Celtic, Greek, Norse, and Egyptian pantheons of antiquity. The Life domain focuses on the vibrant positive energy — one of the fundamental forces of the universe — that sustains all life. The gods of life promote vitality and health through healing the sick and wounded, caring for those in need, and driving away the forces of death and undeath. Almost any non-evil deity can claim influence over this domain, particularly agricultural deities (such as Chauntea, Arawai, and Demeter), sun gods (such as Lathander, Pelor, and Re-Horakhty), gods of healing or endurance (such as Ilmater, Mishakal, Apollo, and Diancecht), and gods of home and community (such as Hestia, Hathor, and Boldrei). Am I missing it, or is Cleric now allowed to use edged weapons that can draw blood? I don't see anything here restricting me from making a Cleric who wields a handaxe and a short bow (both are Simple Weapons, which this says I'm proficient with). The attribute you are talking about requires that have they take 2 bonus actions as each attribute requires a bonus action to be used. If they could take 2 bonus actions (from a magic item or another way) it would have to be a critical hit or killing blow which certainly seems balanced. Before you make a melee attack with a heavy weapon that you are proficient with, you can choose to take a -5 penalty to the attack roll. If the attack hits, you add +10 to the attack's damage. Ah I see. Still in the context of this you'd be making 2 attacks with -5 (unless you spend a previous turn casting Bless and then maintain concentration through the round before your 2nd turn) for the 2 X (weapon damage) + 20 (cumulative damage from attack action) that is a lot of damage for a level 1 to be doing. To do this though there was significant investment in dealing more damage, instead of in being able to heal better or protect allies/yourself. Also the weapon has to be "heavy" for GWM and there are no "heavy" melee weapons that are not two-handed. This further pushes the investment in the character (and party strategies at large) as a damage dealer and not a tank (lower AC than a pure tank, because they can't wield a shield). This is a lot of investment by the player for their character to do damage instead of doing other things, which I think keeps it balanced when compared to how much a Life cleric can heal (with all of the healing bonuses) or a Nature cleric can tank (in heavy armor & shield). I get what you mean. Though the Death and War domains seem like a perfect fit for edged weapons. I need to go one level deep into cleric for a build I'm making. It's a healer/buffer/support/control caster anyway. I'm debating between Light for the imposing of disadvantage and the cool domain spells, or between Knowledge for the extra skills and languages for better utility outside of combat. Is there a list of gods on this site? Honjx18, there is a basic list of Forgotten Realms deities and RL deities like Nordic Odin or Greek Zeus. There are other pantheons, such as Greyhawk (which critical role uses, for those interested), but those are only available to people who buy the online players handbook. D&D is much more about exploring "fantasy" as a broad genre. Old clerics were kind of Crystal Dragon Jesus (that is, modeled on medieval Christianity but with fantasy stuff) and followed some obscure rules from real history. Nowadays, you can make clerics dedicated to all kinds of gods, including gods who love axes. bless can commonly be cast knowing that a combat is coming or before entering a dangerous senario, it only takes up the first round if you are ambushed, or at least that has been my experience. 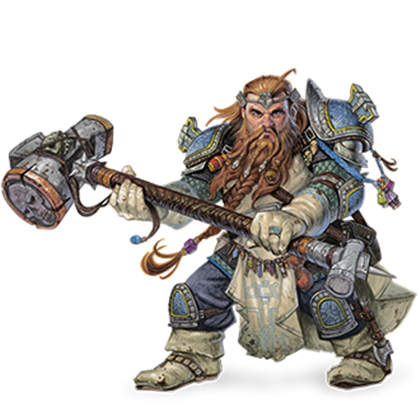 I play my War Domain Cleric like a better (at least at early levels) fighter, and have in fact taken levels in fighter as I advanced to better use the martial class features and powerful combat buffs offered by the Domain. Critical Role actually uses a customized version of the Dawn War pantheon, the official pantheon of 4th edition. What about the other Cleric domains in the Player's Handbook? Will they be shown on here? This page lists content from the basic, free rules. The Player's Handbook includes additional content that requires a further purchase here on D&D Beyond. TThat as sooo stupid in the first place.... try to hit someone in the face with a hammer... there will be blood.... plenty. I mean I've been using GWM and a war Maul for a short while now and it's working very well. Our party has a super conservative Barbarian with Shield Master and she frequently is able to knock her targets prone, then I come in from behind and double great weapon master attack with advantage it's kind of broken funny. 4d6+26 it doesn't really cost me anything, but it does more damage than my highest level spells (level 2 at the moment and guiding bolt doesn't even do that much) Yeah I can miss and be super sad, but when I hit both attacks it's nutty. Once I get another level Humanoids be ware! Hold person is something I can't wait for, I can hold them, if they double fail save. Then I can walk up and GWM for 2 guaranteed critical hits (if I can manage to hit with advantage) for a whopping 8d6+26 damage. Now they do need to fail 2 saves and they might get lucky but they also might get unlucky so what's the harm right? Also if I have the time I could try to bane them before that.